Anthony graduated with Honours from the London School of Economics and was called to the bar in 1982 at Lincoln’s Inn, London. He was admitted as a lawyer in Western Australia in 1989. Today, Anthony is one of the leading practitioners in the commercial and local government sectors in Western Australia. 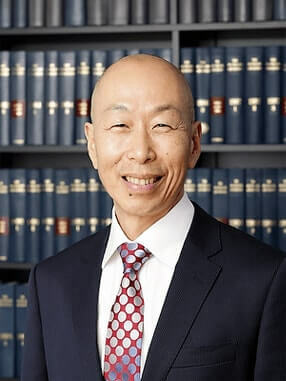 Anthony created the Civic Legal team in 2005, specifically to service the WA local government sector. It has grown from strength to strength and is now a stand-alone firm in the local government, commercial and insurance sectors. Anthony and his team have acted for about half of Western Australian local governments. The depth and breadth of Anthony’s experience enables him to provide advice and representation on virtually any legal issue your local government may face. This includes representation in the Supreme and District Courts, The Fair Work Commission and the State Administrative Tribunal and non-contentious work like drafting contracts and leases, advising on governance, tendering and statutory compliance. "We recognise that our client's legal issue may involve complex commercial, social and stakeholder interests. We work to identify the different drivers of their matter to achieve the best possible outcome." Anthony approaches client matters with a strong strategic acumen informed by his business background, which enables him to protect clients’ interests by balancing legal and commercial perspectives. Anthony is committed to educating the local government sector in good governance. An engaging and highly sought-after presenter, Anthony has been conducting training seminars and presentations to local governments across Western Australia since 2009.